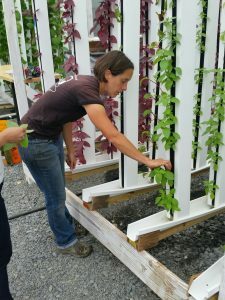 In a news release issued Thursday morning, Interfaith Neighbors’ Kula Urban Farm announced it has developed a 60-hour paid, on the job training program for those interested in agriculture and farming. “There’s so much to learn about taking care of plants, the type of vegetables grown here, and the conditions for a particular plant to grow,” said 22-year-old Tristan McLean [shown at right] in the written news statement. McLean, who lives nearby, is an iStar Summer Experience employee, whose current job is to help the many summer visitors. 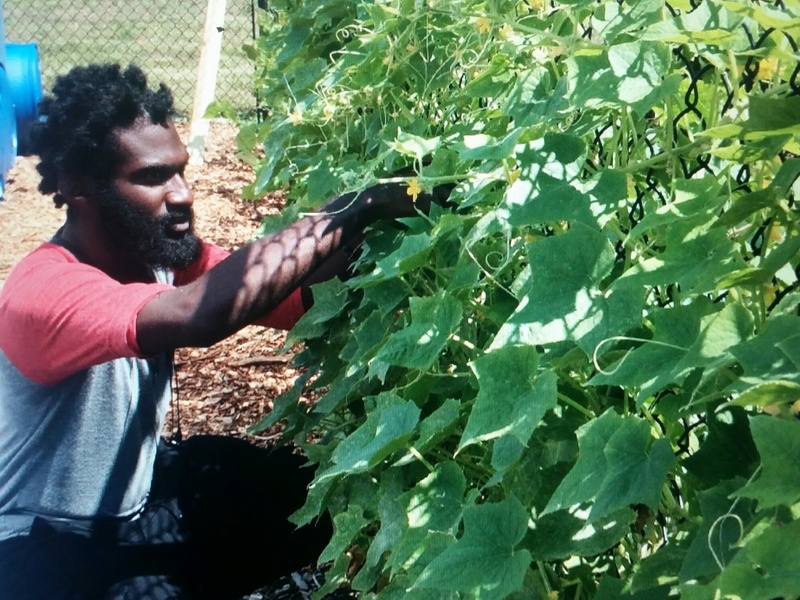 He works at the Atkins Avenue located urban farm on Mondays, according to the news release. McLean’s wish will be met via an Elizabeth and Barets O. Benjamin Foundation grant, which helped create what is now known as the Kula Farm Experience. 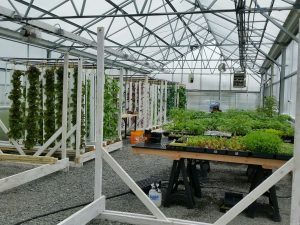 The funded program will pay $10 an hour to up to 15 workers, each of whom will be offered a total of 60 hours employment at the greenhouse and outdoor produce beds. 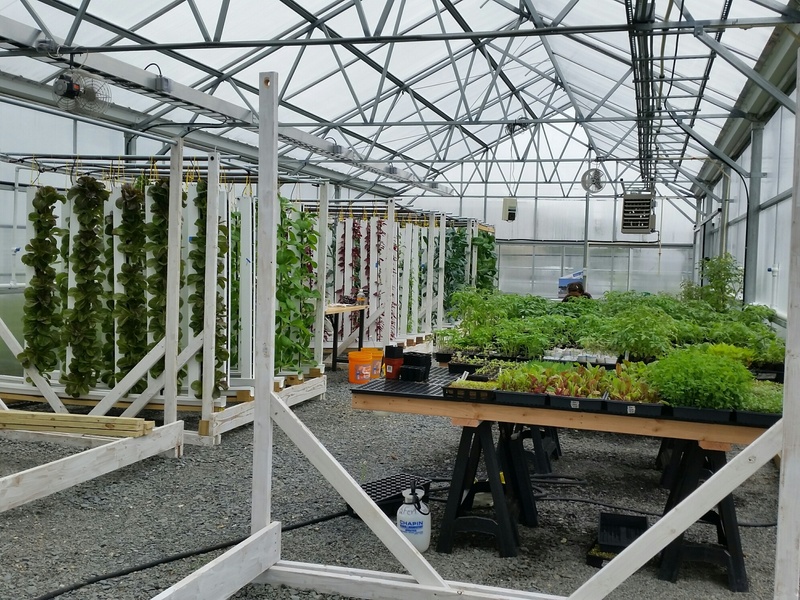 Farm manager Lisa Bagwell said via a late Thursday afternoon telephone interview that the hope will be to attract those in the community who have challenges securing employment. Roger Boyce, director of Interfaith Neighbors’ Business Development Center, said the application process is quite simple and help with resume and a job hunt will be given. 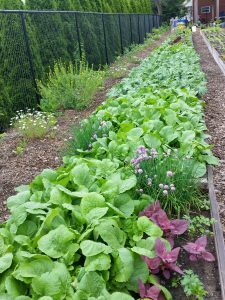 For Bagwell and farm co manager Matthias van Oosterhout, the mid summer help will be greatly appreciated. 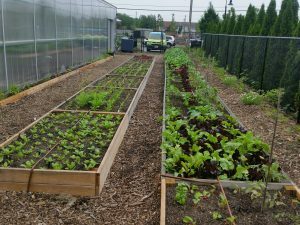 Having just completed a tomato plant sale during the weekend Asbury Fresh farmers and crafts market, the urban farm has expanded its work with local restaurants, including to its partnering Kula Café, located immediately next door on Springwood Avenue. The farm’s produce and operations is incorporated into the Kula Café menu and the café’s own job training program. Kula Café chef and executive manager Wendy Escobedo [shown in feature photo] has used the farms produce to create everything from creative salads and sandwiches to one-of-a-kind berry, fruit, and herb ice pops. The café now offers food delivery. This season’s produce, now being distributed to close to 10 restaurants includes: collard greens, tomatoes, salad greens, broccoli rabe, beets, kale, Swiss chard, basil, micro greens, cucumbers, hot peppers, green peppers, beans, spinach, herbs, strawberries, blueberries, pak choi, tatsoi, and bok choy. Cut flowers also are available. The local eateries include Watermark, Langosta Lounge, Seed to Sprouts, Cardinal, Tulula’s, Moonstruck, and Taka. Interested applicants can apply at the farm, located at 115 Atkins Ave. or [if closed], go to the adjacent Kula Café at 1201 Springwood Ave. The café is open for breakfast and lunch from 8 a.m. to 3 p.m. Tuesday through Sunday. Kula Urban Farm is open to the public to visit and buy available produce from 10 a.m. to 4 p.m. on Saturdays and Mondays. 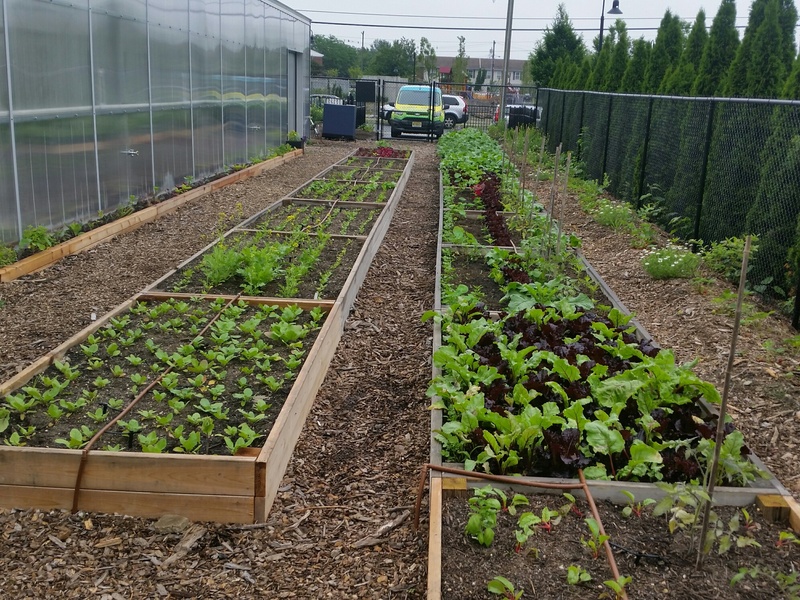 Bagwell said the Saturday Community Garden offers produce at no cost.